Expertise. Skill set. Commitment. 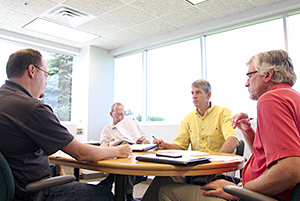 The FSI Team offers you the combined resources of having studied, trained, worked, and lived in virtually every aspect of the vacuum formed plastics industry. From sales and engineering to process selection, tooling design, thermoforming production and logistics. This combined experience contributes to work flow efficiency, repetitive formed product quality and solid customer satisfaction. 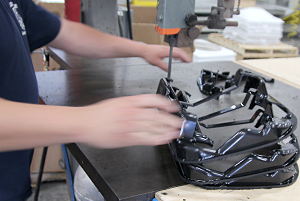 Thermoforming is our core service; it’s all we do. Unlike larger multi-service organizations, we don’t have a hierarchy of customer service managers or decision makers. You deal directly with the members of a committed team who will put a priority on your project. Our diversity in product solutions extends across multiple markets, which in turn gives us a depth of experience in market specific processes and products. 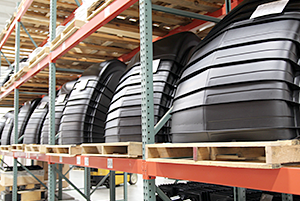 We understand the expectations, workflow and tolerances that vary from industry to industry. Our capabilities are scalable to meet your immediate, short-term projects as well as long-term production. You can rely on FSI for a wide range of forming processes, as well as secondary services, sequencing, JIT and vendor managed inventory.